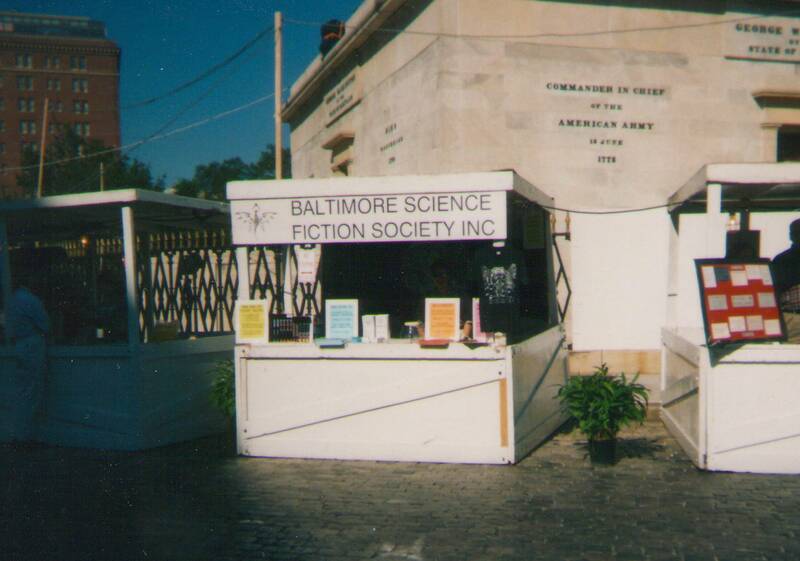 Pictures of BSFS Exhibits at Baltimore Book Festival, Artscape, Cons and other Venues. 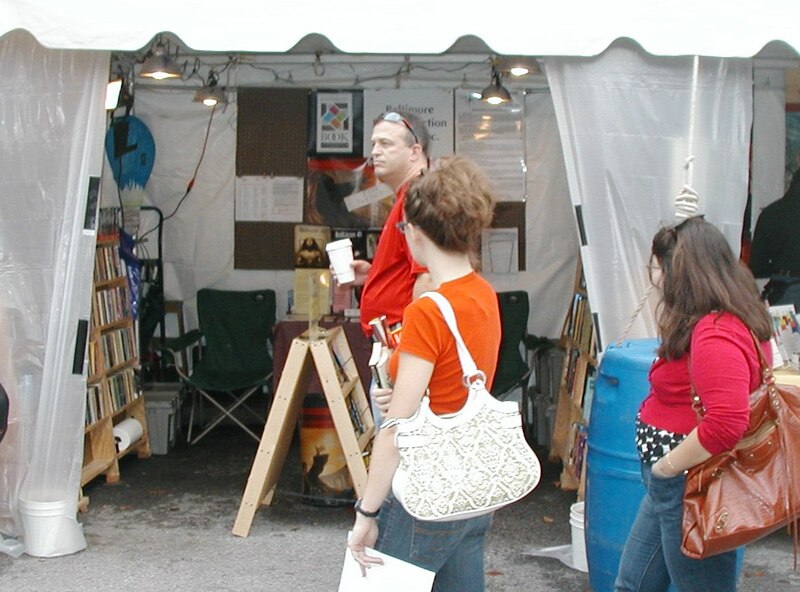 Artscape 2002. 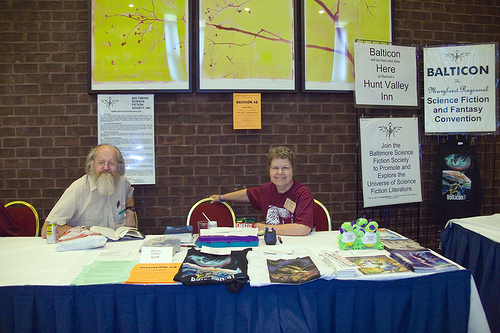 Martin and Sue take a break. 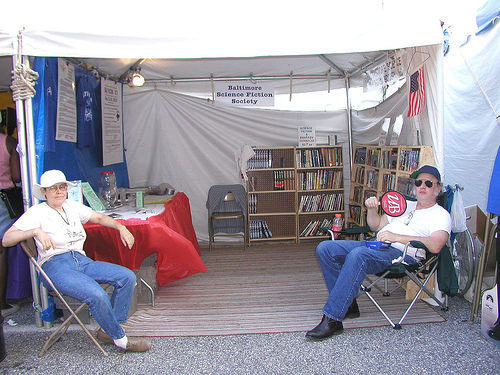 Baltimore Bookfest, September of 2008. 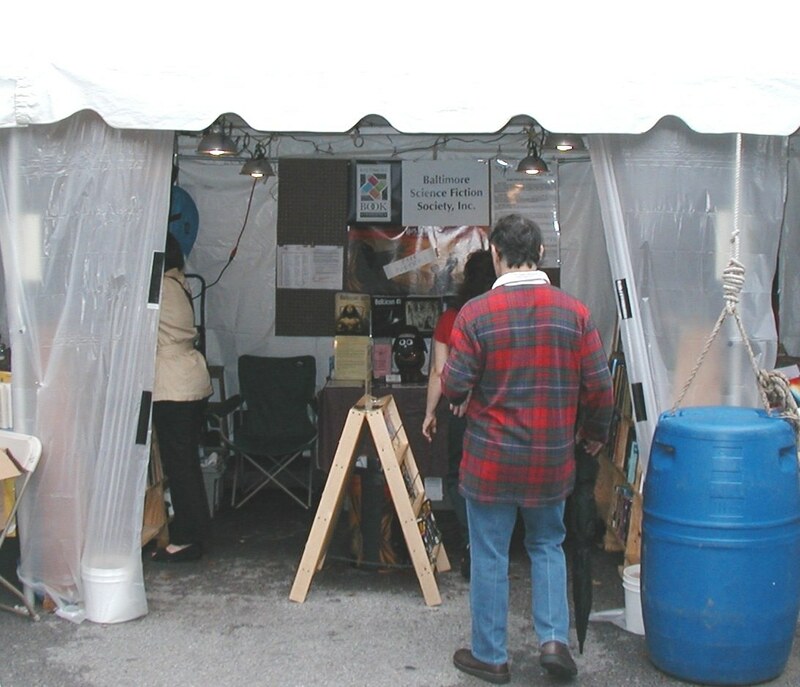 Shot during a dry time on Sunday. 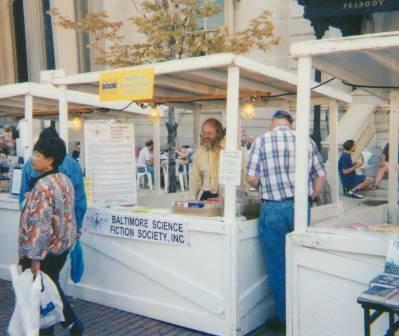 Baltimore Bookfest, September of 2008 view 2. 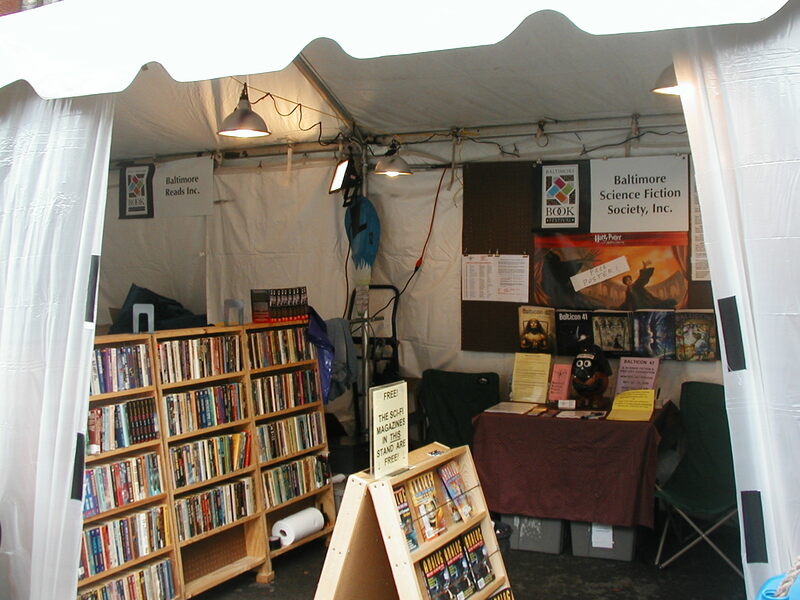 Baltimore Bookfest, September of 2008 view 3. 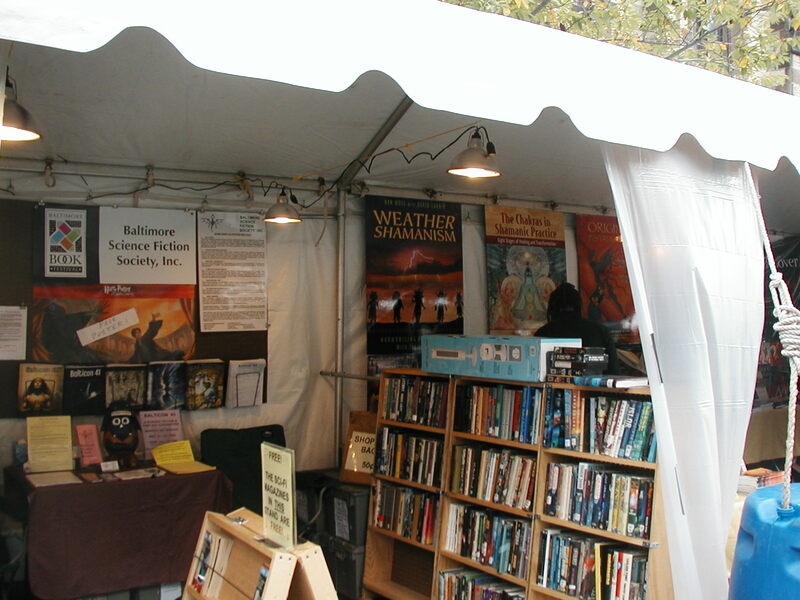 Baltimore Bookfest, September of 2008 view 4. 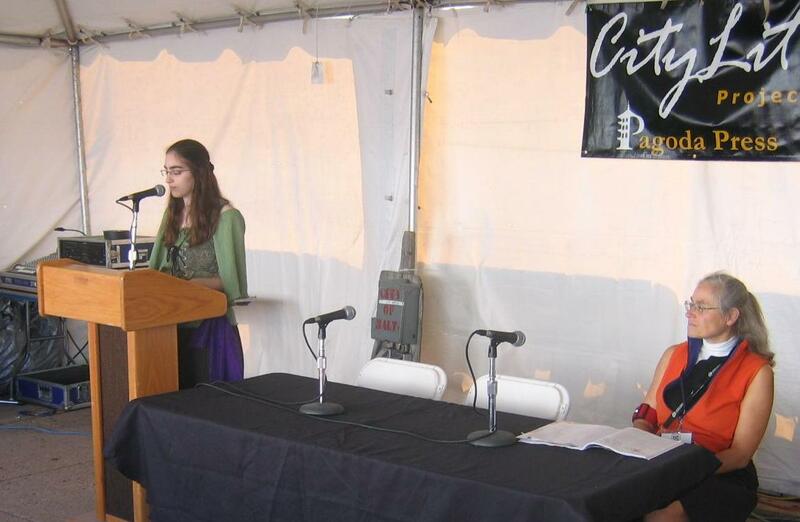 BSFS's Young Writer contest participant Rebecca Rachel Goldstein speaks at Baltimore Bookfest 2007 while Miriam represents BSFS. 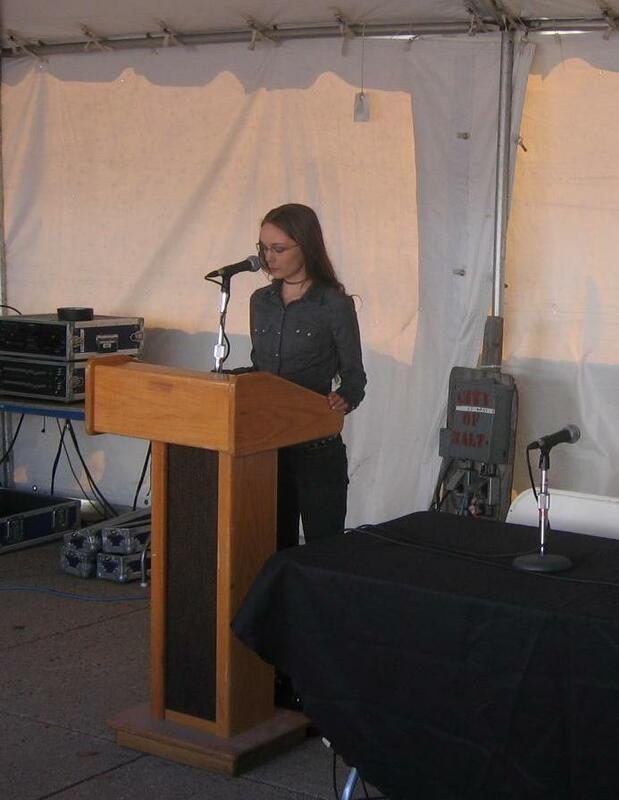 BSFS's Young Writers Contest winner 2007 Jessica Adams speakes at Bookfest. 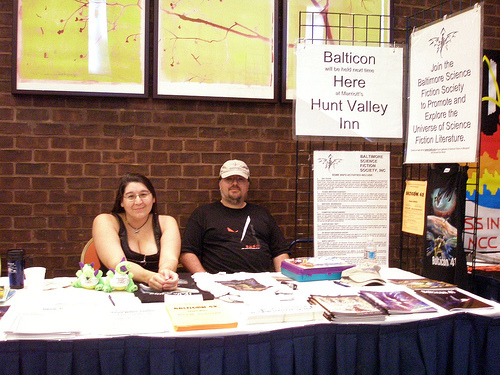 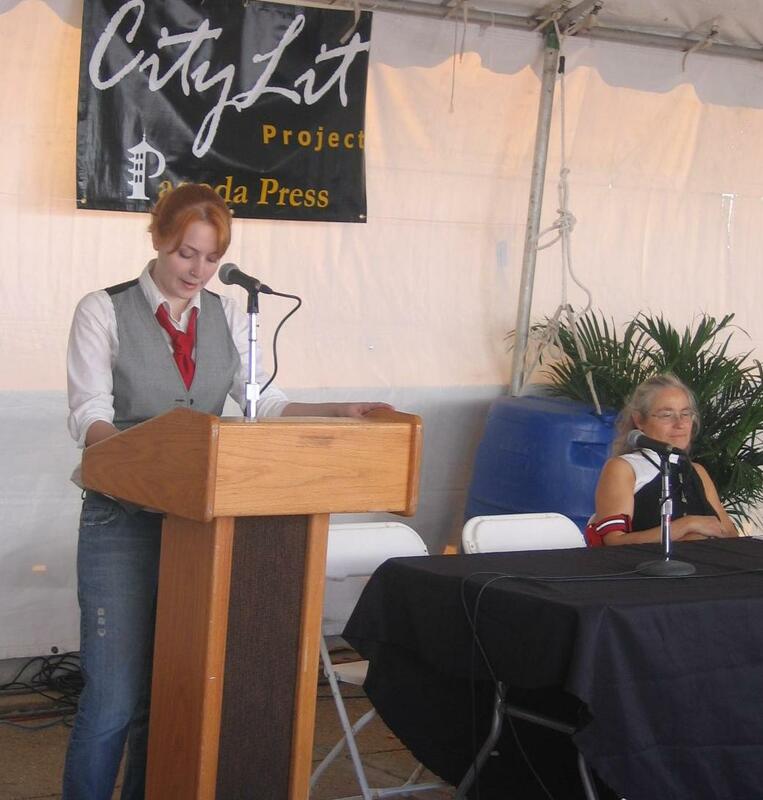 BSFS Member Alexandra Kelly speaks at 2007 Bookfest about youth and SF literature.